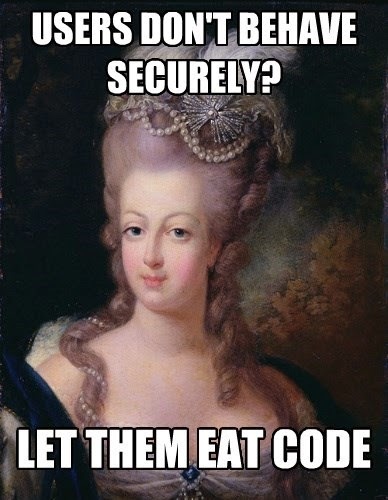 Are you like Marie InfoSec? Are you so out of touch with reality that you think you can solve social problems with technology? Security is an engineering problem only in so far as solving it requires technical engineering, social engineering, political engineering, economic engineering, etc. Multifaceted problems call for multi-pronged approaches to address them, regardless of the protestations of those who'd rather ignore the social dimension of the problem.